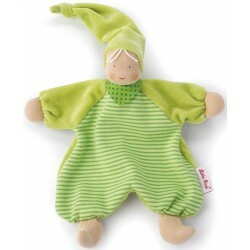 The green Nicki Baby is a fully washable cuddly baby wearing a one-piece cotton velour sleeper and colorful matching striped cap. 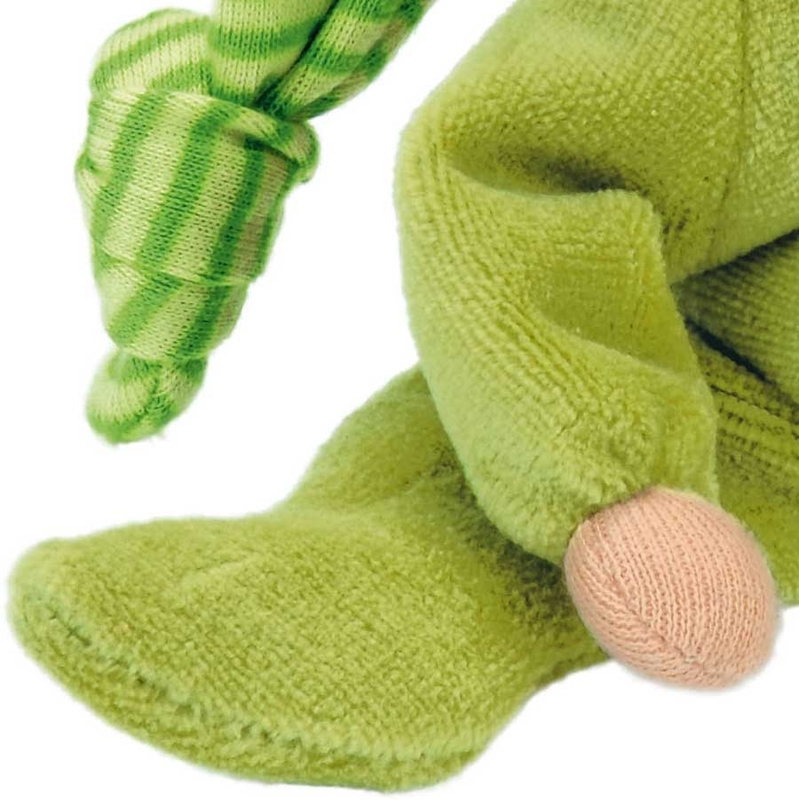 The stocking cap is knotted and extra long making it easy to grasp. 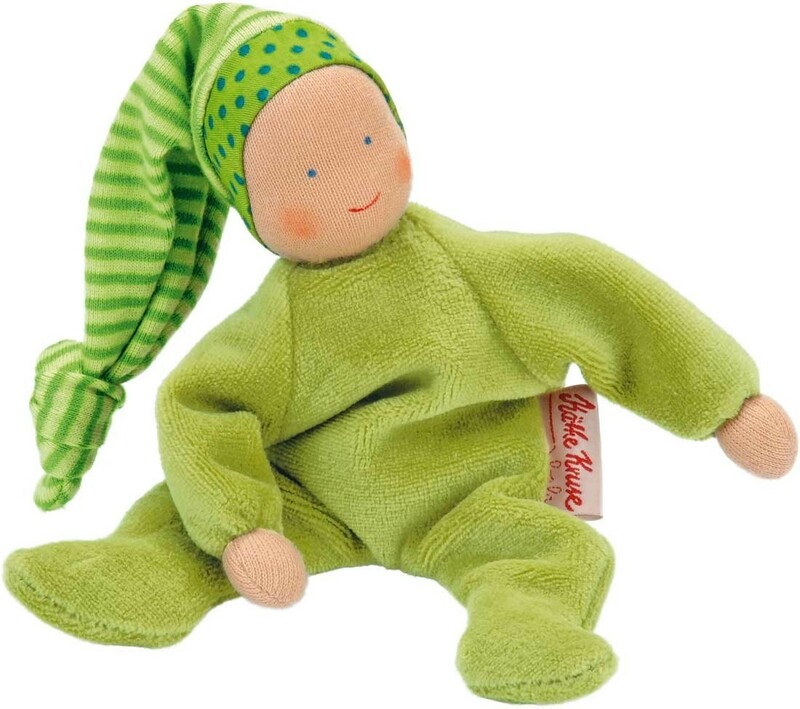 Nicki Babies are extra sweet to cuddle and carry and can be posed since they are loosely stuffed with pellets and fiberfill. 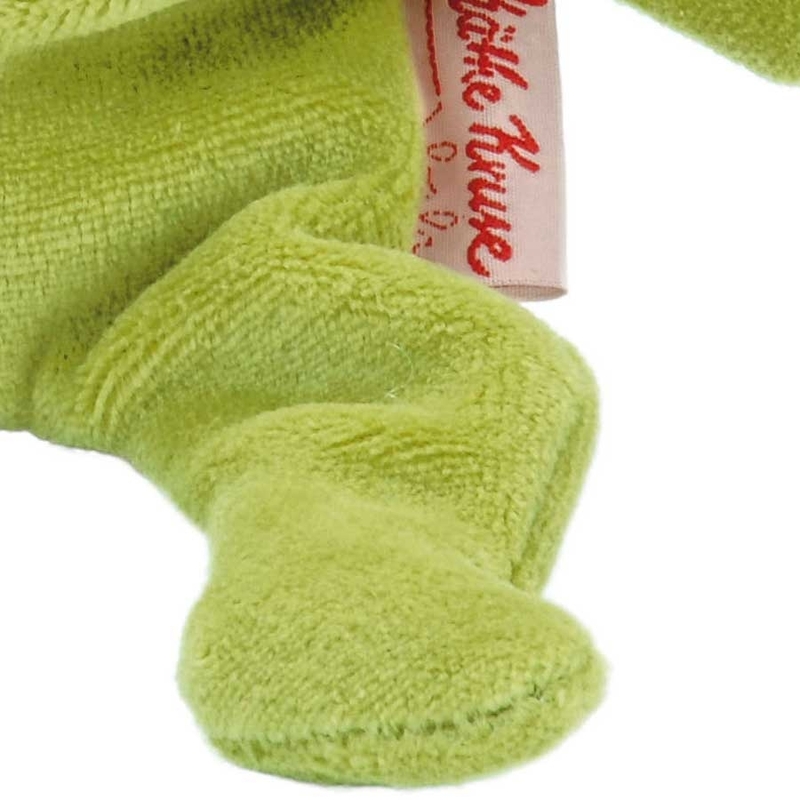 Facial features have been individually hand painted. 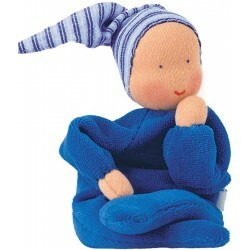 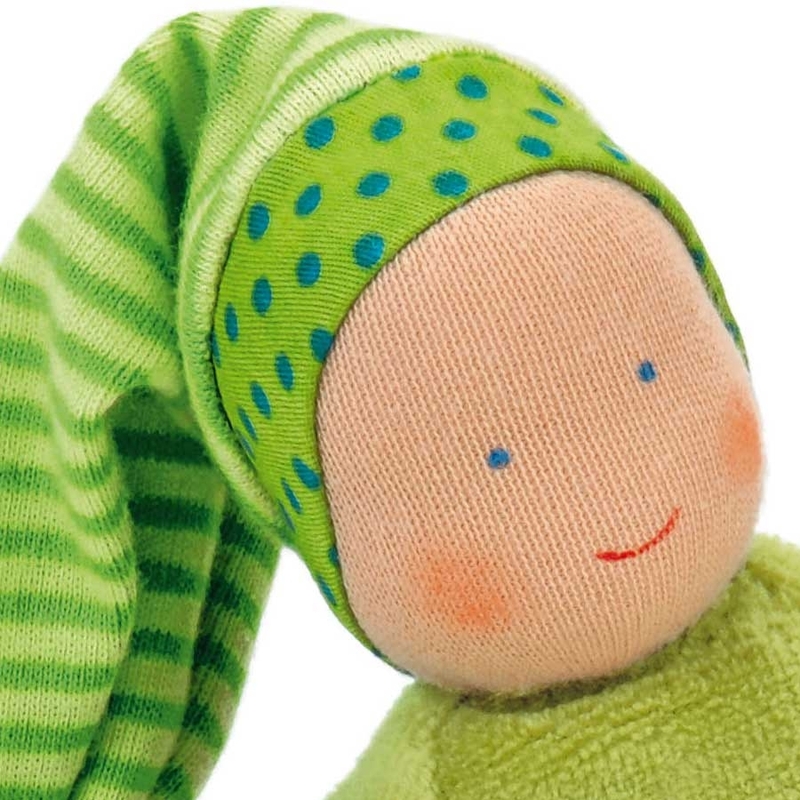 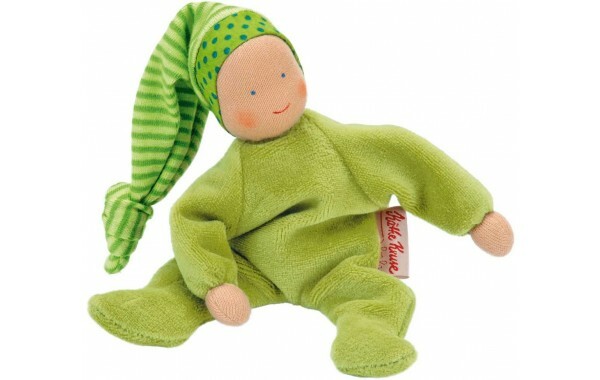 Green Nicki Baby is a perfect, safe companion for a new baby and makes an excellent gift.